The Delux Suite meets the highest expectations of sophisticated business travelers. This room is 59 m², with a spacious living room and a bedroom area. A separate lounge room provides spacious accommodation for those seeking additional room to relax. 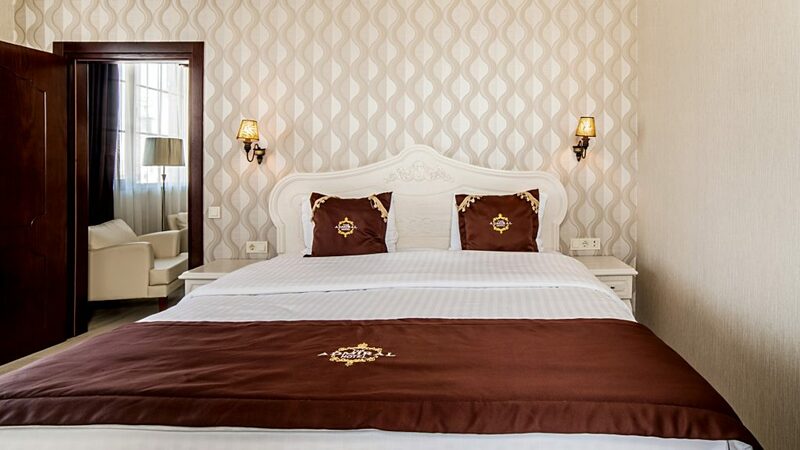 These spacious rooms feature a balcony offering views of the Black Sea and Batumi Boulevard. Room Size: 59 m², 2 persons + 1 extra bed. 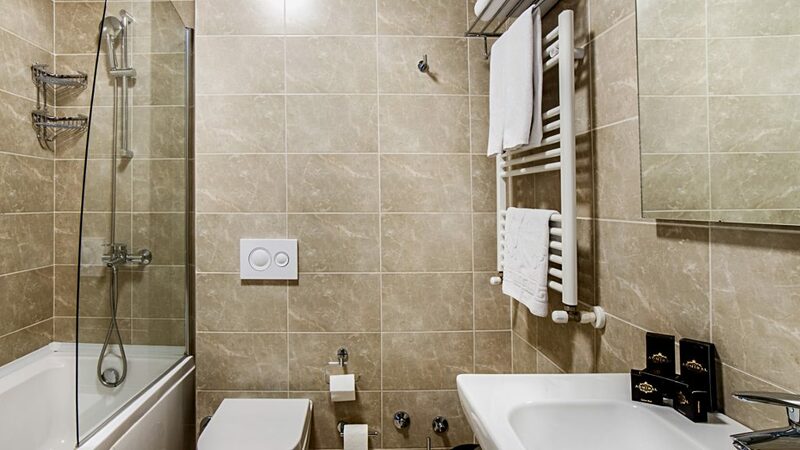 Bathroom fittings: Fully equipped bathroom with bathtub, hair dryer in bathroom, bathrobe with cotton slipper, complimentary beauty set.